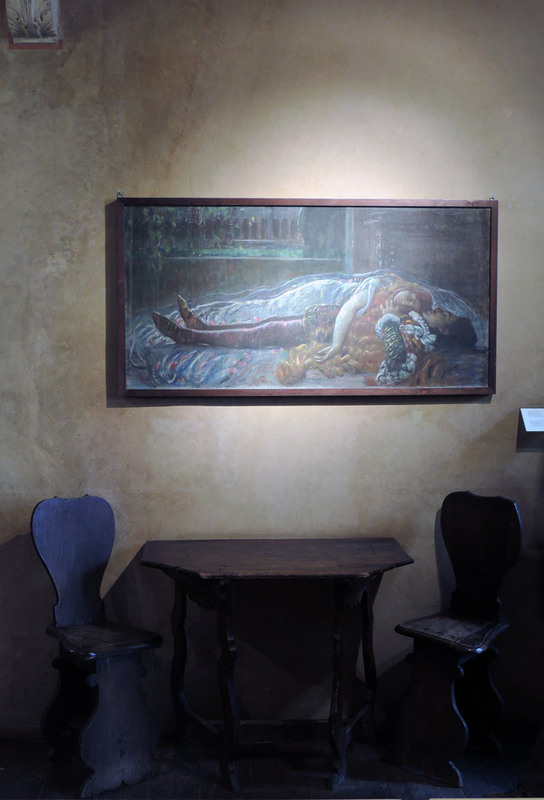 Juliet’s House is an enchanting palace in the centre of Verona. 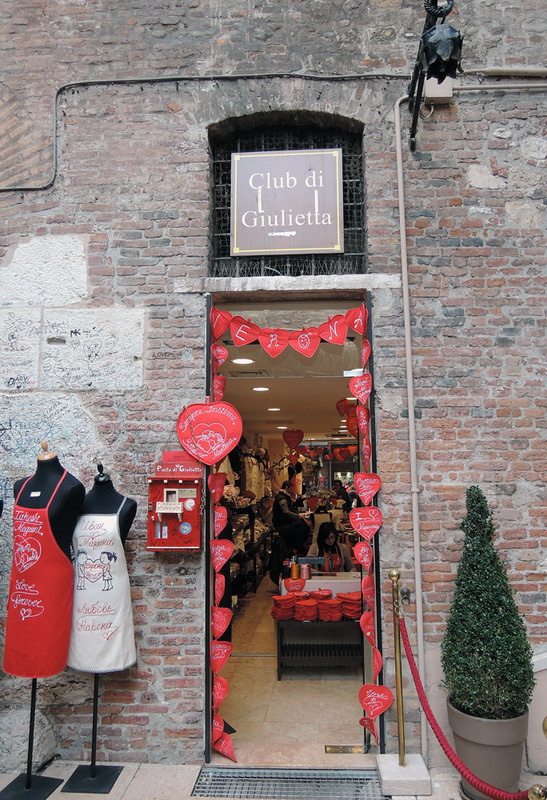 For centuries it has been identified as the Capulets’ house and it has been a pilgrimage destination since 1800. The story of Romeo and Juliet dates back to 1303. At that time, the families of Verona fell prey to struggles, divided into two factions, Guelphs (supporters of the Pope) and Ghibellines (Emperor’s followers). Capulets and Montagues were rivals. They are even mentioned in Dante’s Divine Comedy. 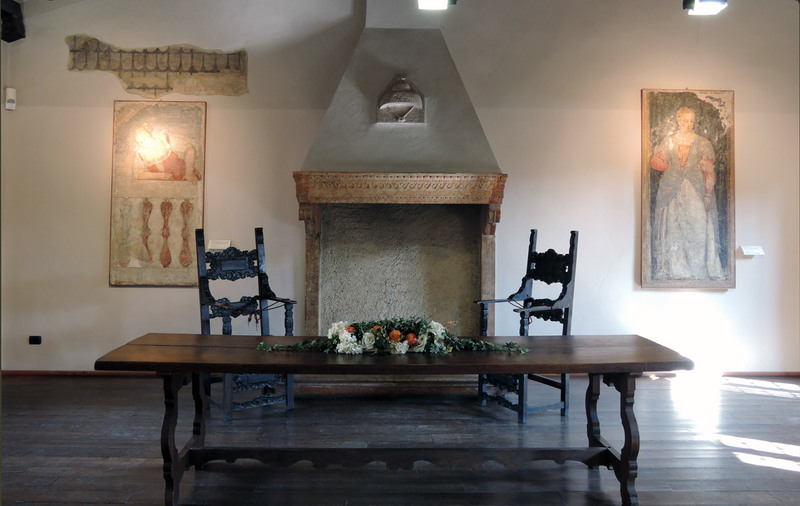 In 1524 Luigi Da Porto, military man and writer from Vicenza, convalescing after a bloody battle, retired in his palace in the territory between Vicenza and Verona and wrote a novel inspired by the story he had been told by a comrade from Verona. The novel was titled Historia nuovamente ritrovata di due nobili amanti (Rediscovered history of two noble lovers) and it is precisely Romeo and Juliet’s story. It was picked up and reworked by other writers and became very famous. Shakespeare published his own version in 1597 . 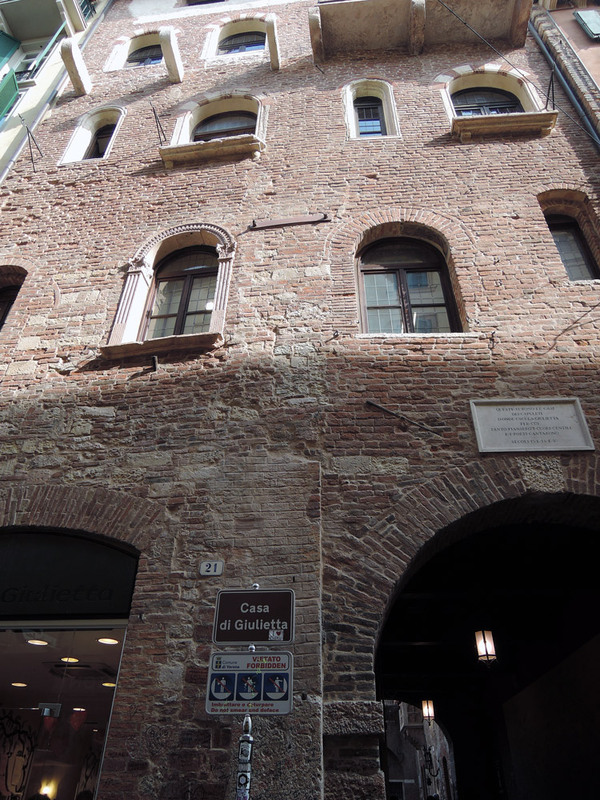 I visited Juliet’s house on a first Sunday of the month, so I paid only 1€. Great deal. To be honest, I never wanted to visit it before. I read some reviews online so I was expecting the worst experience ever. But I changed my mind. OK, maybe I was conditioned by the low fee paid. As many reviews say the house is truly quite bare, but not entirely. 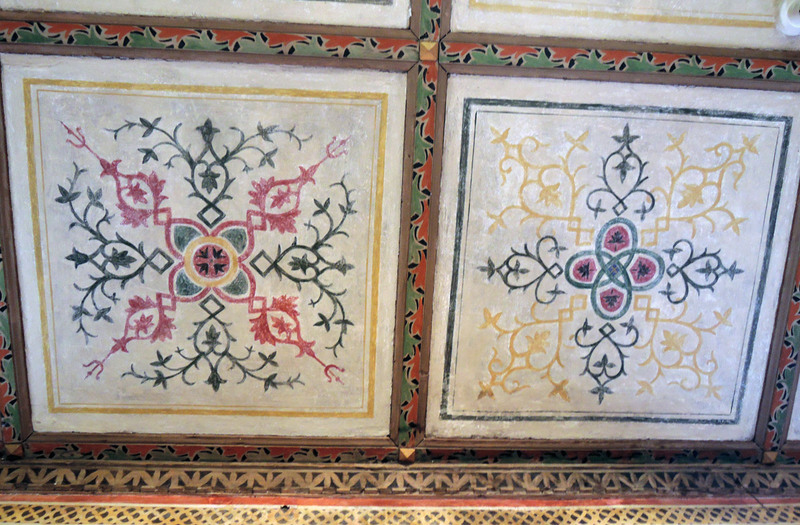 In the first room (with lovely painted ceiling) I could admire some interesting paintings, illustrating the story of the two lovers. I especially liked Death of Romeo and Juliet by Angelo dell’Oca Bianca (quite funny name because oca bianca means white goose). Upstairs there’s a large room with a wooden table. 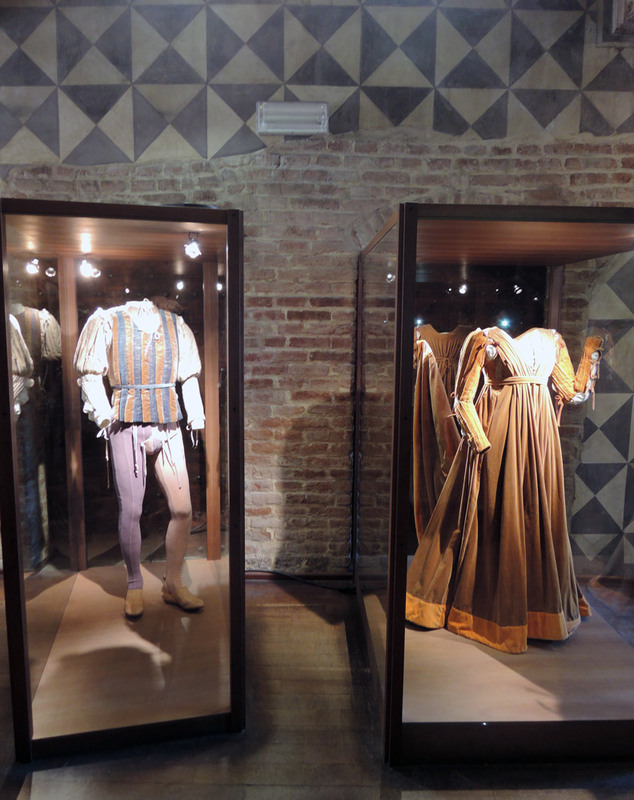 Proceeding you can visit Juliet’s bedroom: here you can see the bed and the costumes used in the film Romeo and Juliet by Zeffirelli in 1968 with Olivia Hussey (how beautiful she was!!!) and Leonard Whiting. 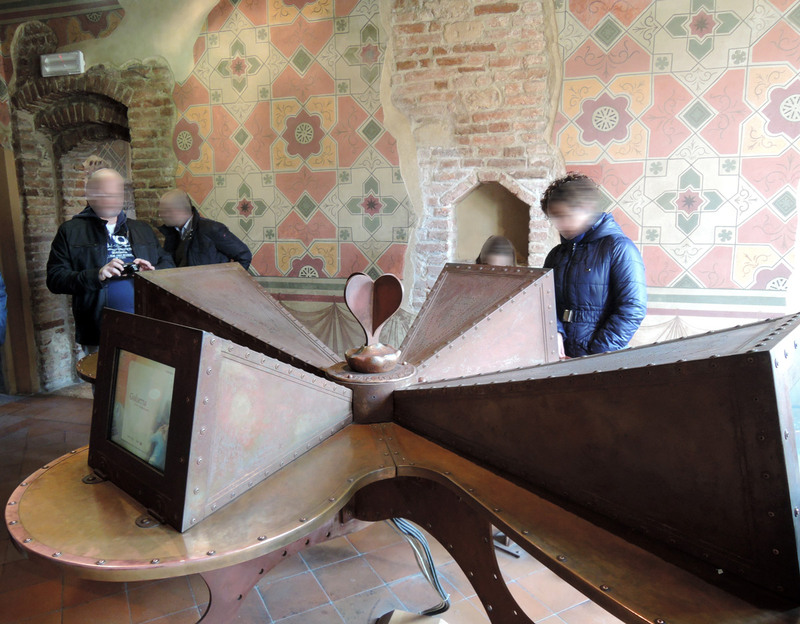 Then, in small room you’ll find Juliet’s writing desk by artist Pucci De Rossi, a sort of flower-shaped table with four computer stations in which visitors can write a love message. For the traditionalists, right next to it there is a letterbox. 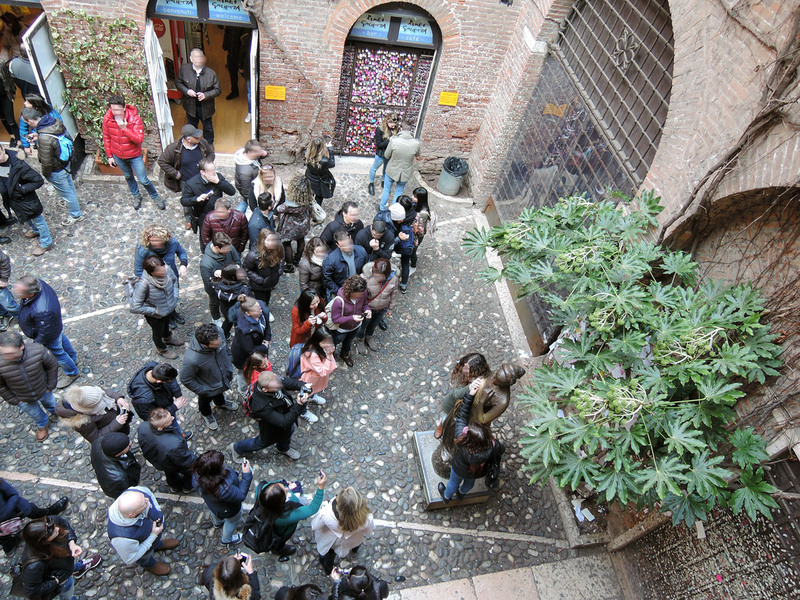 The visit continues to the top floor, from where you can enjoy a beautiful view over the rooftops of the city and peek at the statue of Juliet assaulted by people. 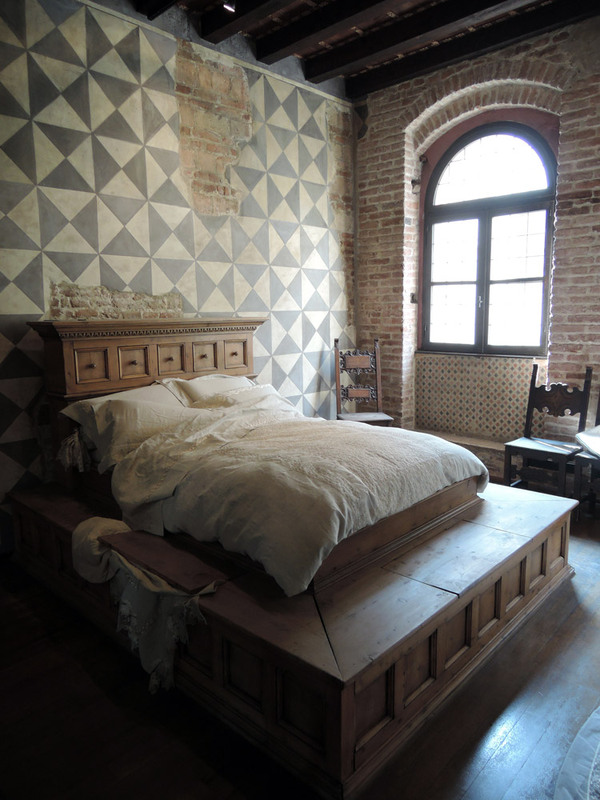 Juliet’s house looked very different until the 1940s when the city decided to recreate a more medieval atmosphere. 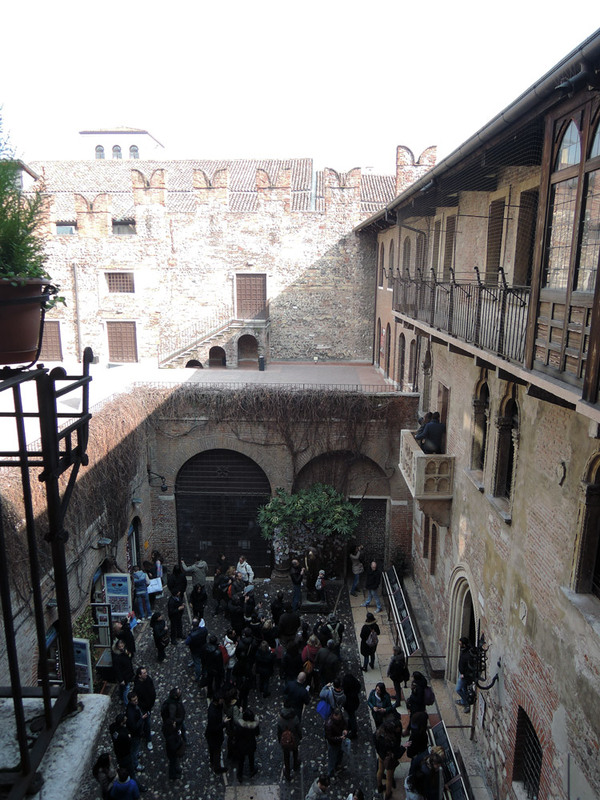 Even the famous balcony was created using marble remains of 1400 (before there was only a simple railing). 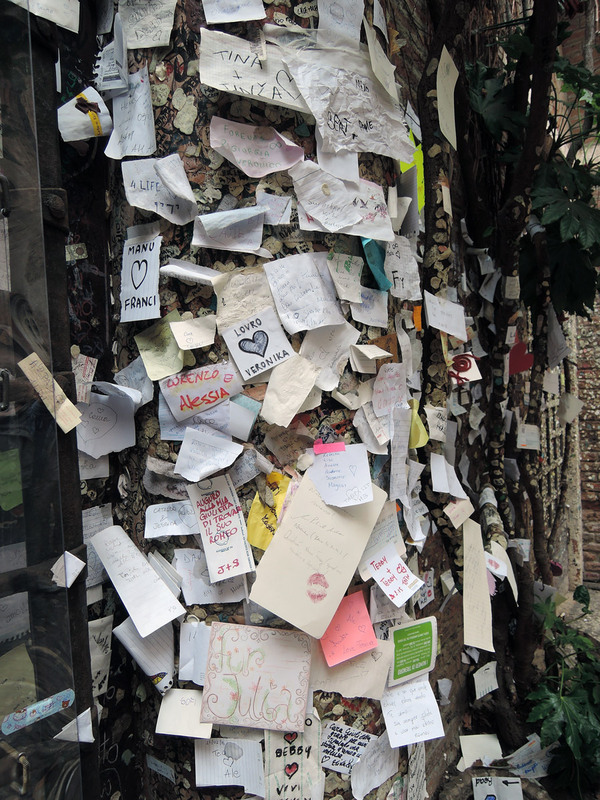 The place is not at all romantic at all if it is (as it often is) too crowded. Try to arrive here early to enjoy it. You have to pay to go inside the house, but the courtyard (in which you can touch the statue and see the balcony) is open and free. 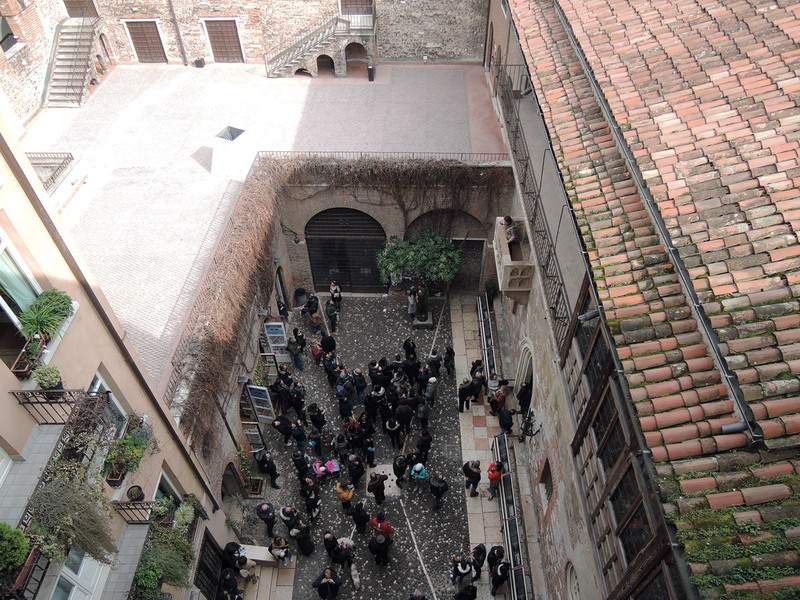 If you stay in Verona only one day and you’re not a fan of Romeo and Juliet, you can skip the visit but I think you should come to look at the balcony from outside (the building is in the city centre). Even if it is to criticize. 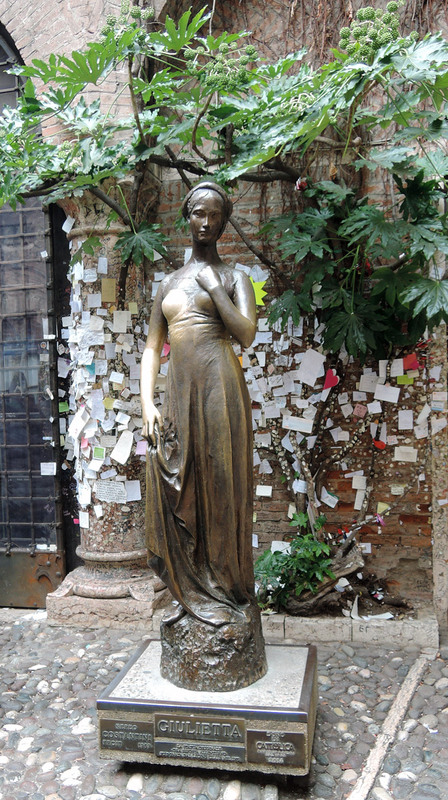 Juliet’s house is still a symbol for Verona and a place of hope for all the people in love.